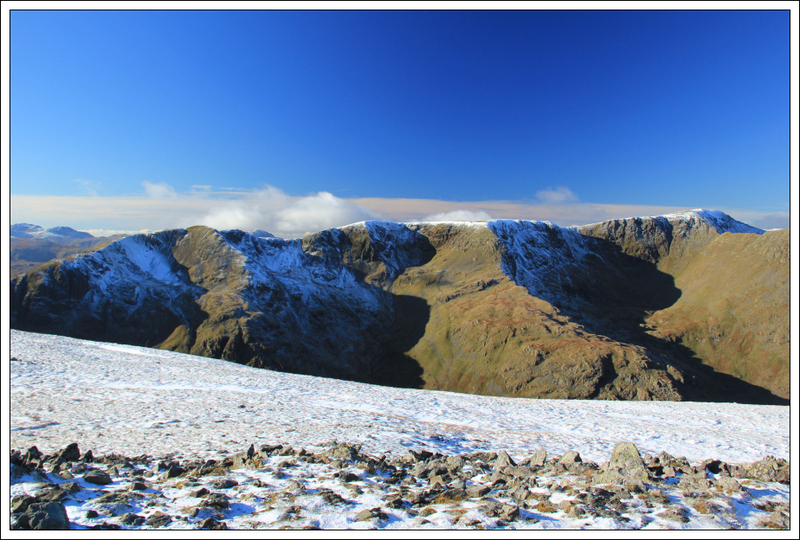 I set off this morning round to Patterdale to meet my friend Dave for an ascent of St. Sunday Crag and Fairfield. 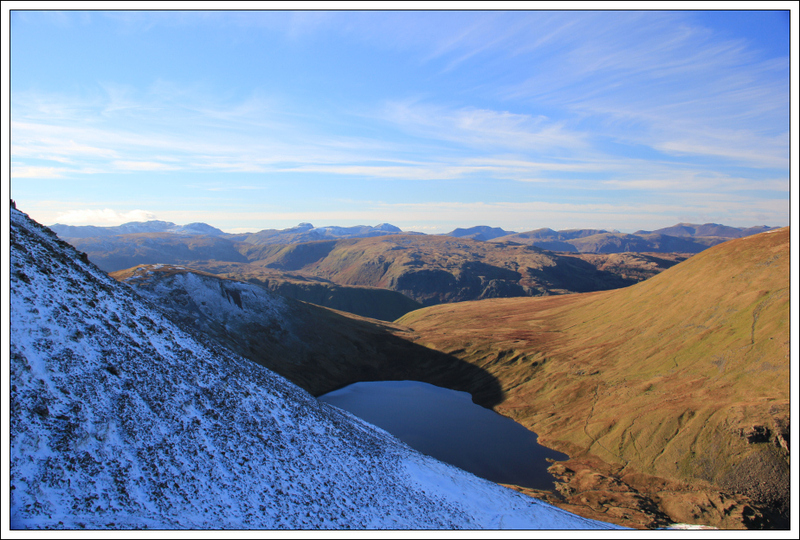 This walk come highly recommended both by Dave and by the Cicerone Lake District guidebook which describes the walk as, “Mountain magic distilled – a round for the connoisseur”. 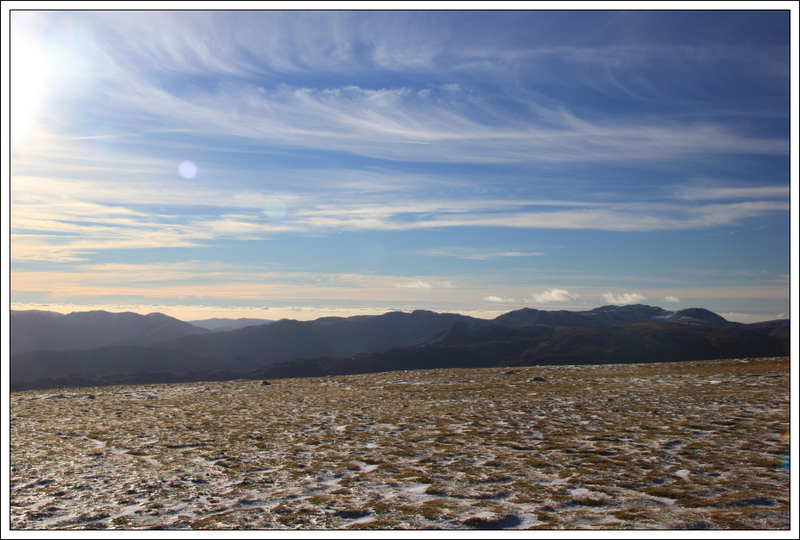 The weather forecast for today was excellent. 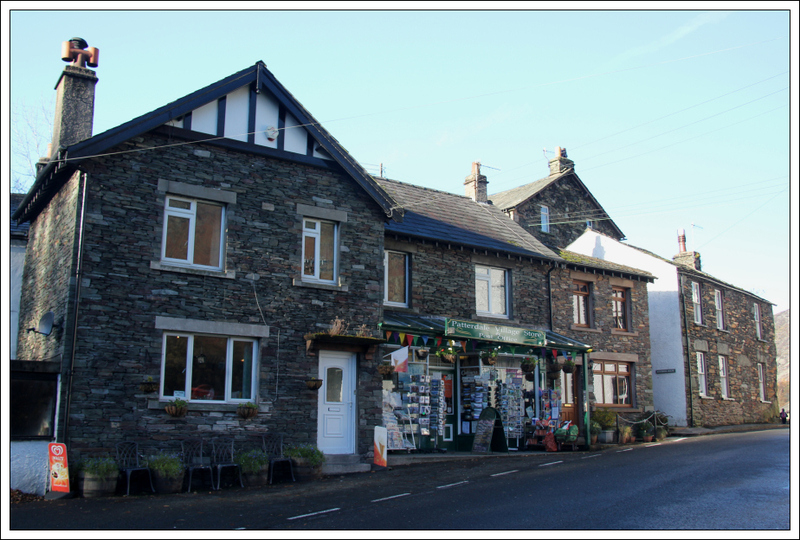 On arriving in Patterdale, I parked in the White Lion car park. 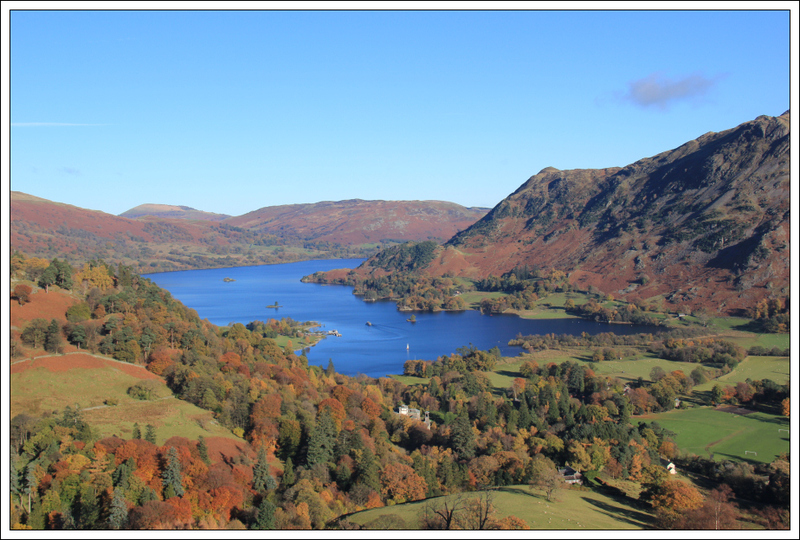 The Patterdale Hotel car park is £4.50 for the day, the Youth Hostel car park is £4.00 for the day and the White Lion car park is £4.00 for the day. 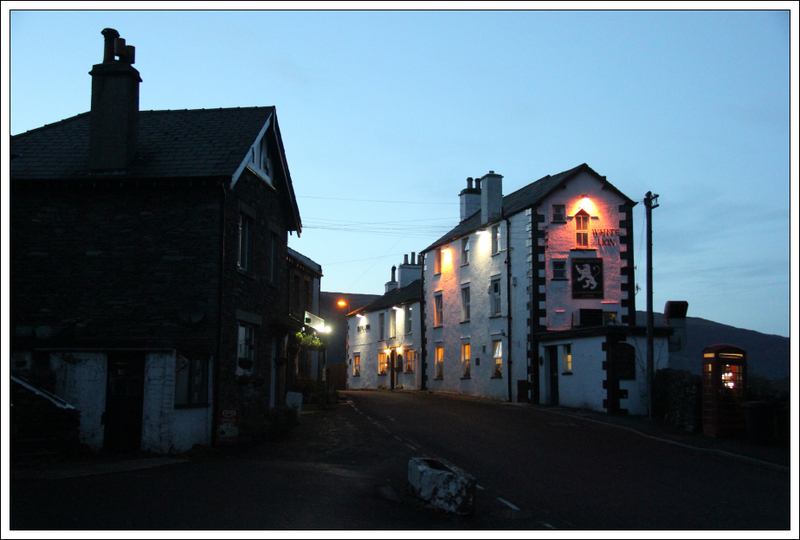 However, the White Lion car parking charge is fully refundable if you subsequently buy food or drinks in the White Lion following your walk. 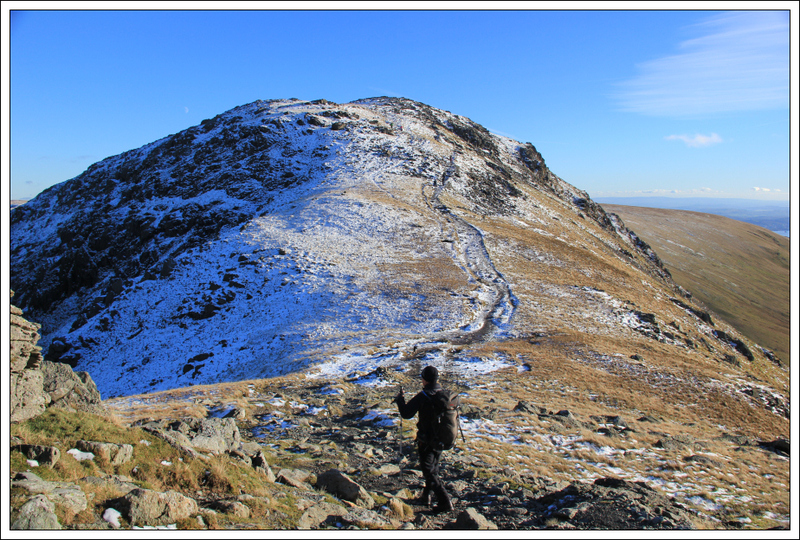 After meeting up with Dave, we set off along the track leading towards St. Sunday Crag. 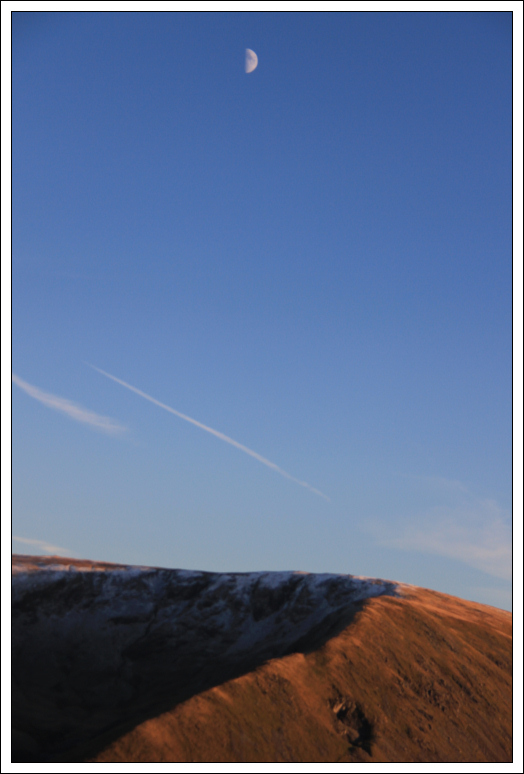 It was great to catch-up with Dave during the walk. 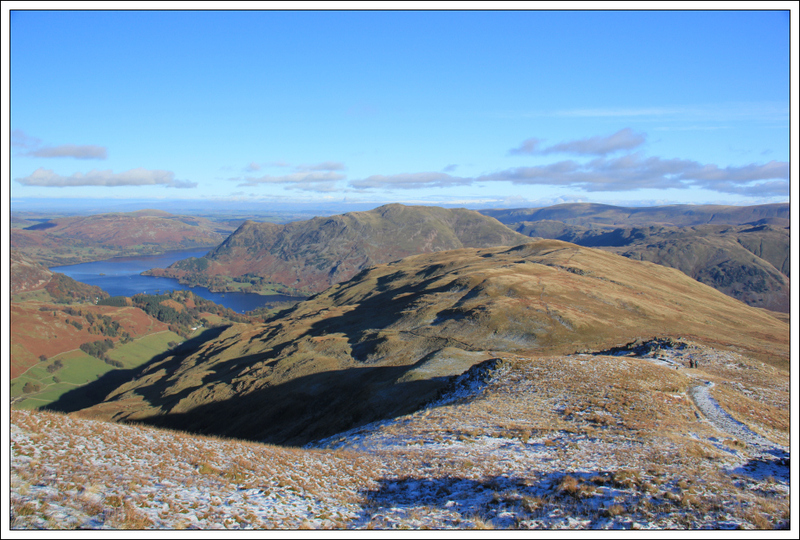 As we gained height we got great views across to Place Fell and of Ullswater. 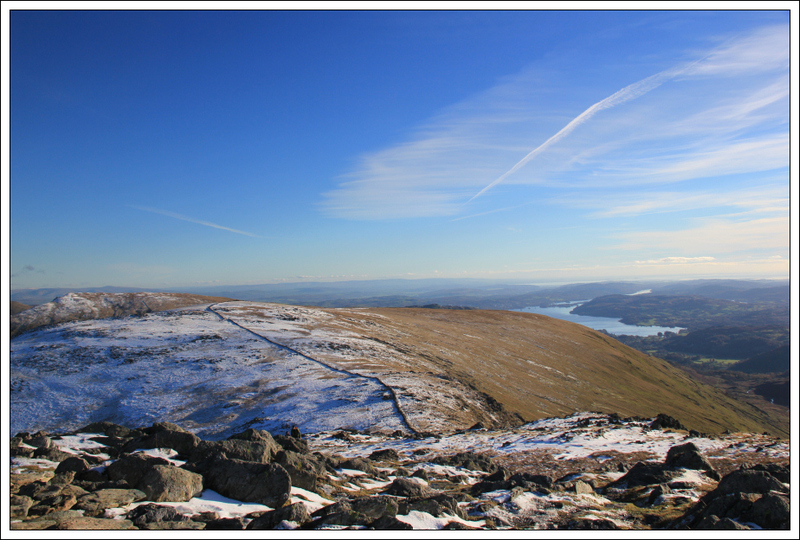 I ascended Place Fell the day previous. 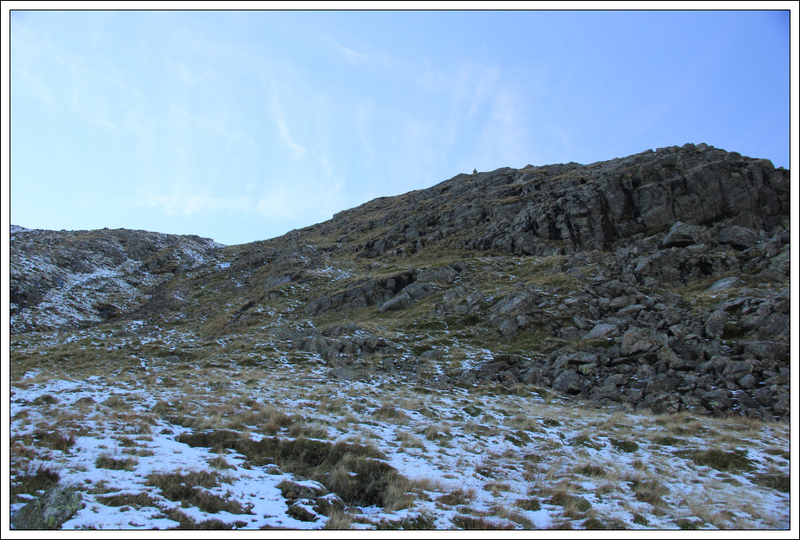 The initial ascent of Black Crag was fairly steep. 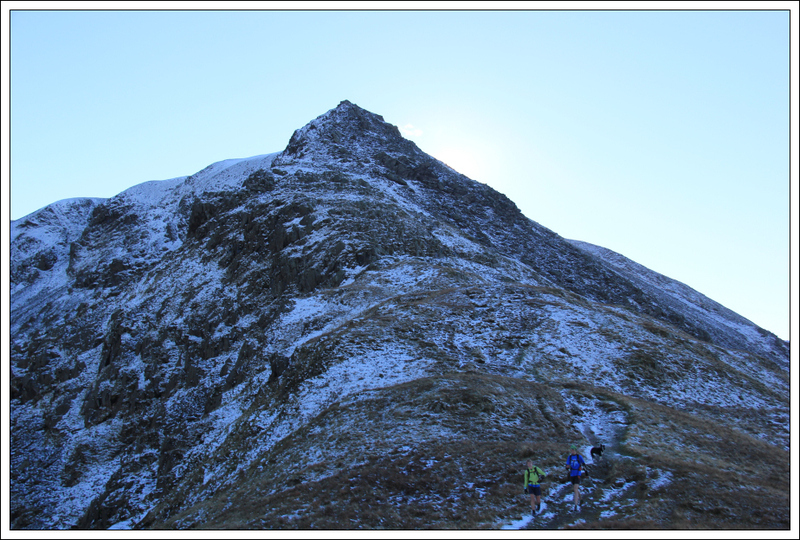 After circa 150m of steep climbing the gradient eased off as we began skirting round the side of Birks. 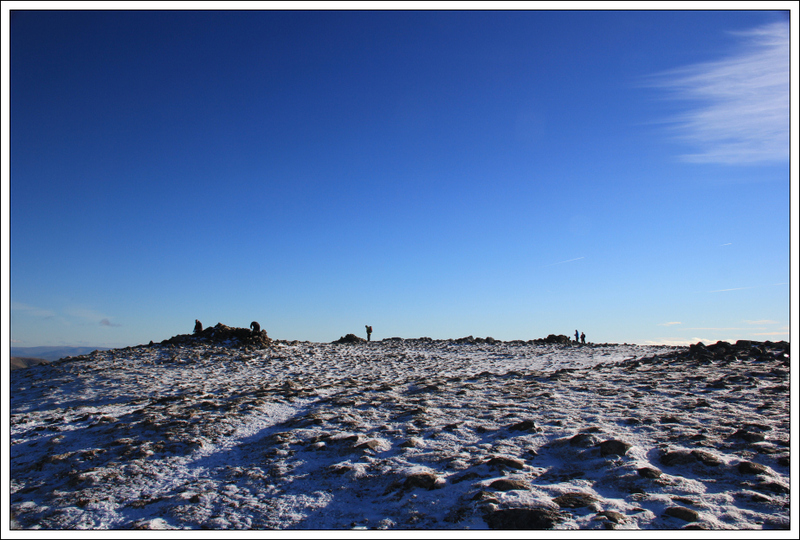 Once we were roughly level with the summit of Birks we left the track to ascend directly to the summit of Birks. 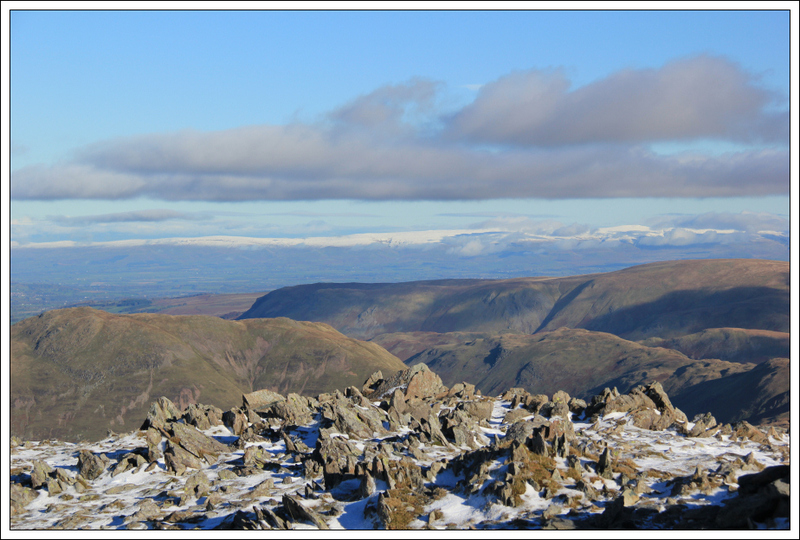 From the summit of Birks we continued on towards St. Sunday Crag. 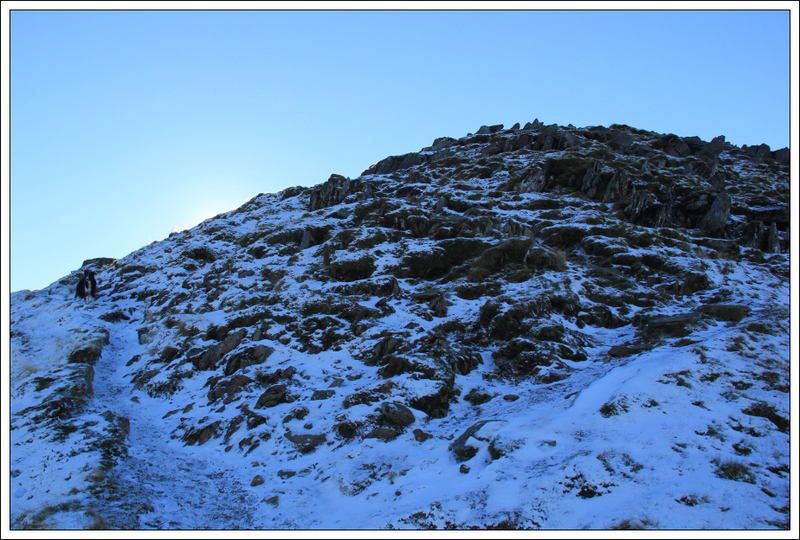 The ascent of St. Sunday Crag was straight-forward apart from having to take care on a few icy sections. 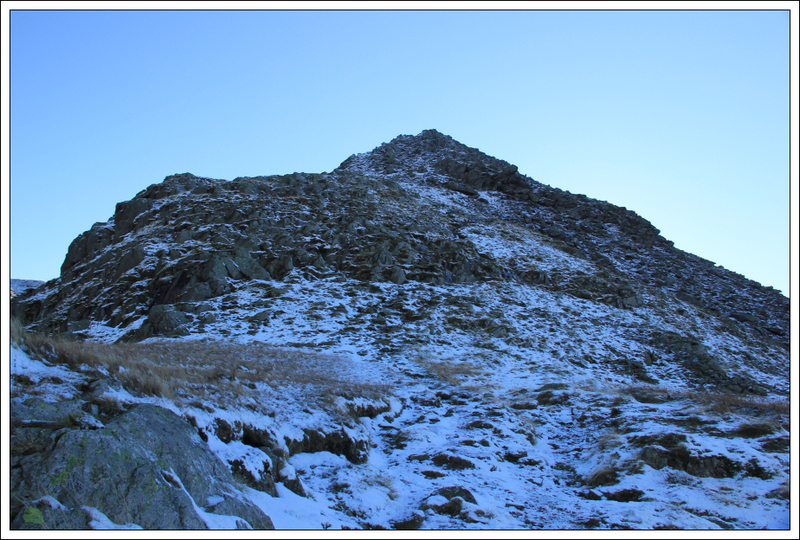 Once above the steep section it was an easy walk to the summit. 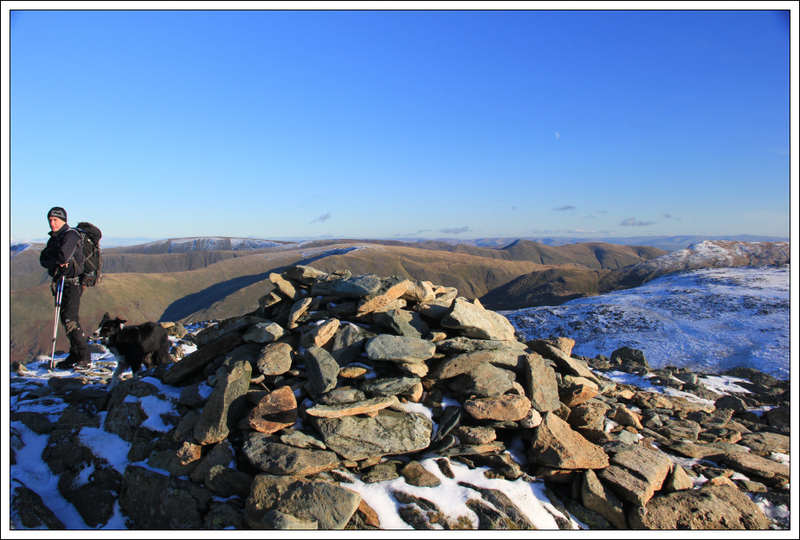 We had a short break at the summit of St. Sunday Crag. 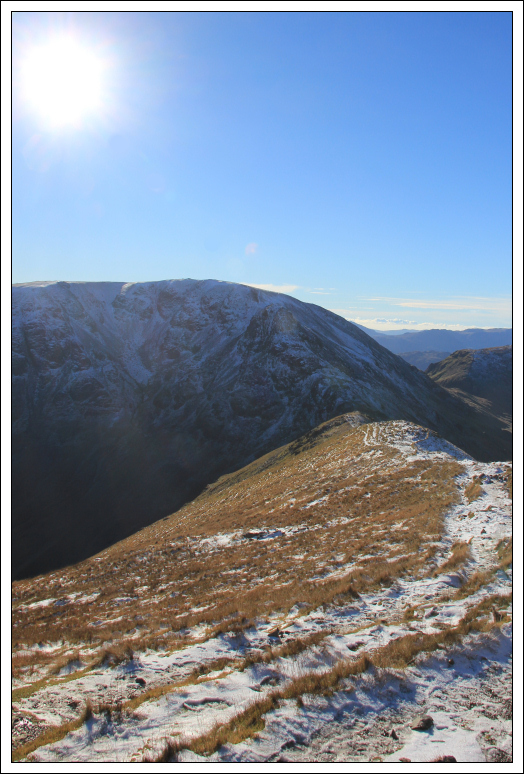 Whilst at the summit, I took a number of photos of surrounding hills. 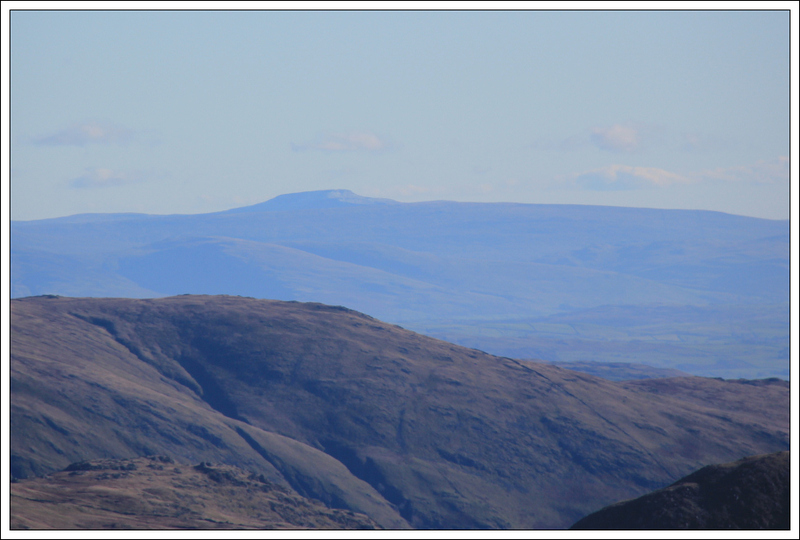 The clarity today was superb, so much so that we could clearly see the Pennines and Ingleborough. 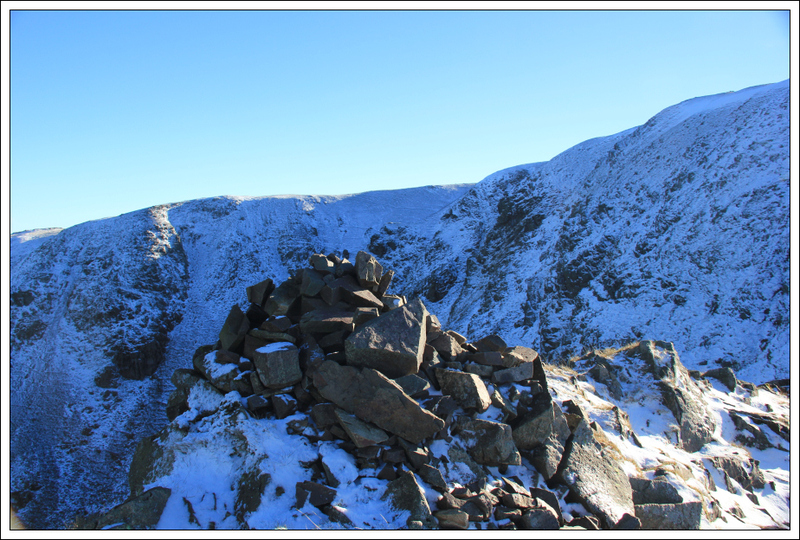 As we progressed towards Cofa Pike and Fairfield I stopped to take a photo of Striding Edge. 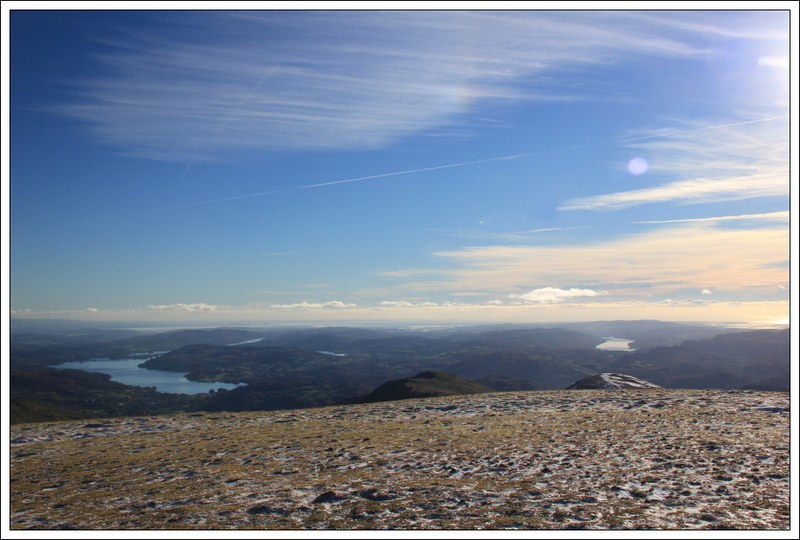 This is definitely on my Lake District wish list. 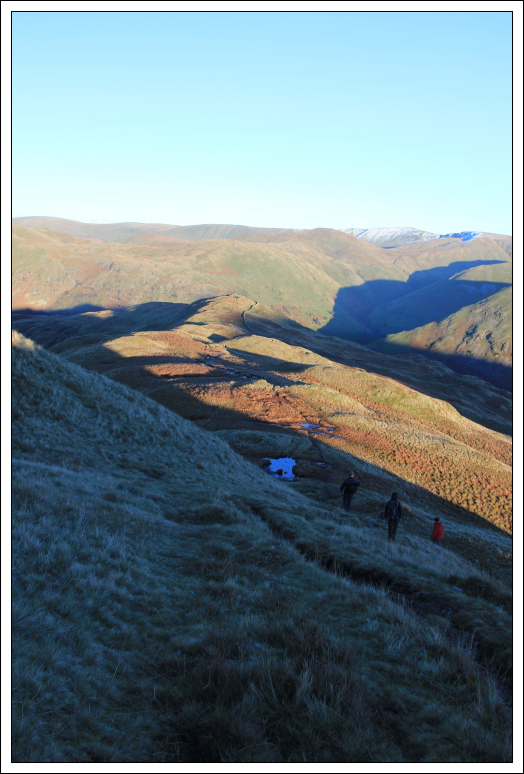 From a distance the ascent of Cofa Pike looked somewhat challenging. 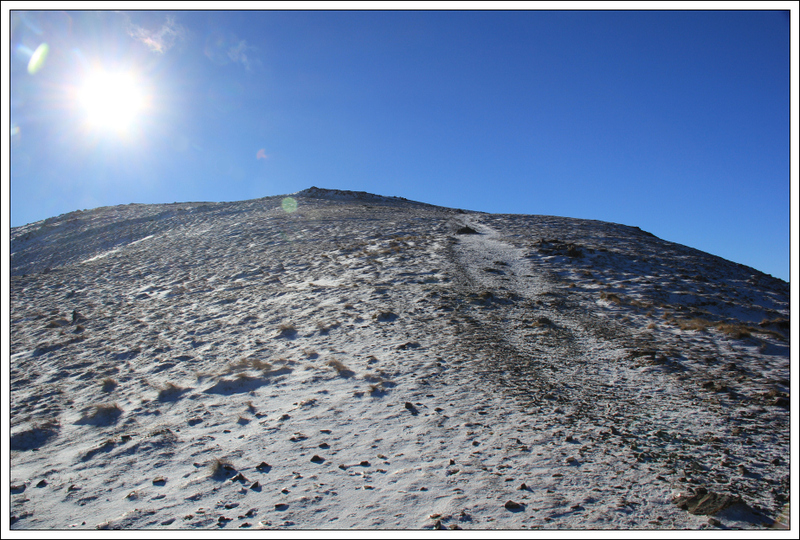 However, its ascent turned out to be straight-forward. 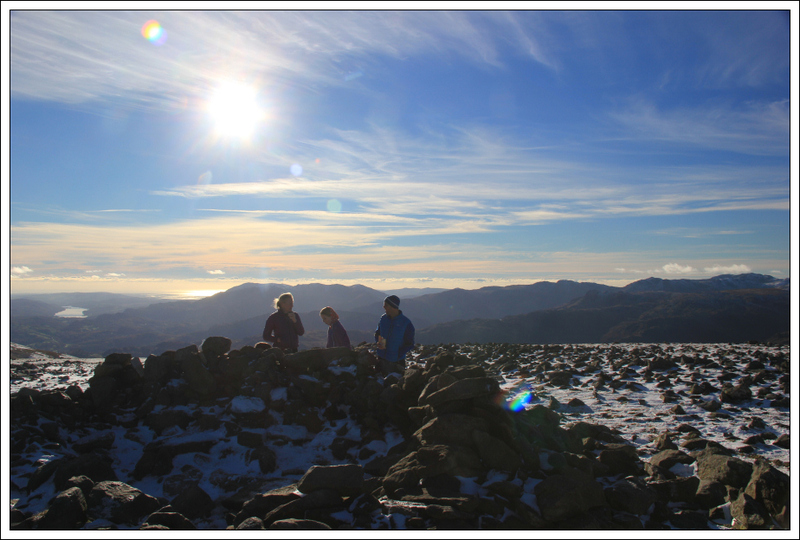 After summiting Cofa Pike we continued on towards the summit of Fairfield. 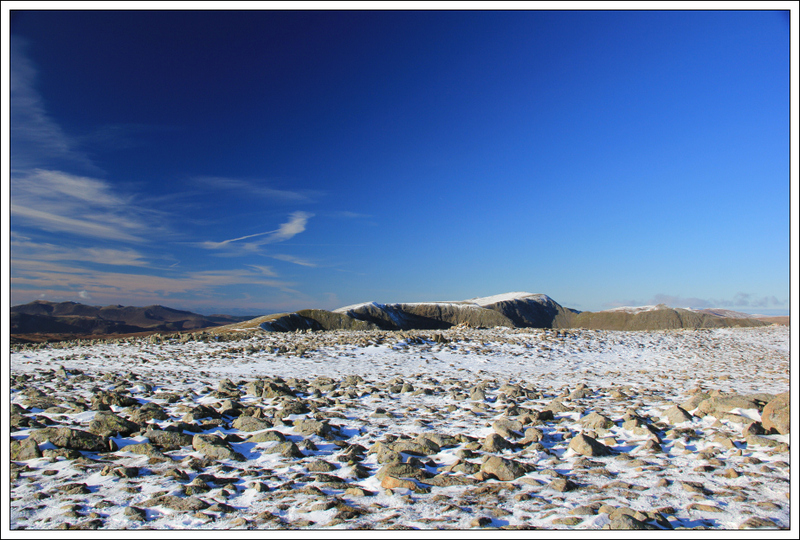 The views from the summit of Fairfield were outstanding – brilliant blue skies and perfect clarity. 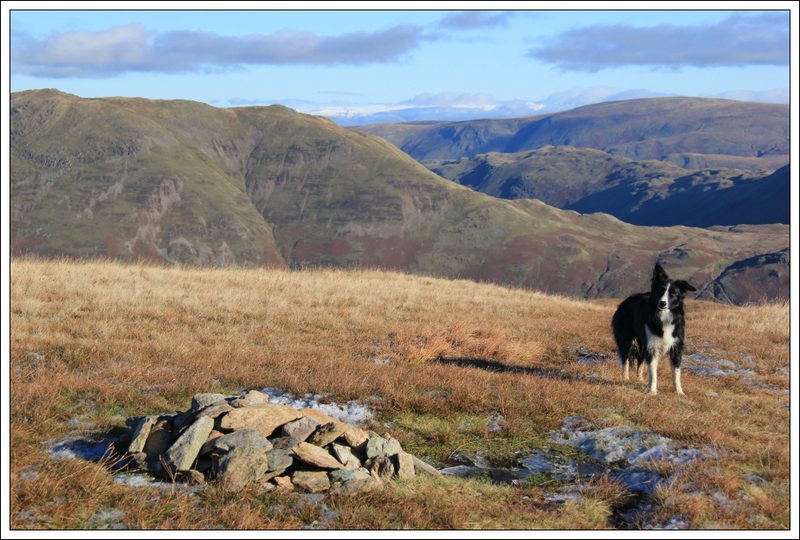 After visiting both of the summit shelters we continued on towards Hart Crag. 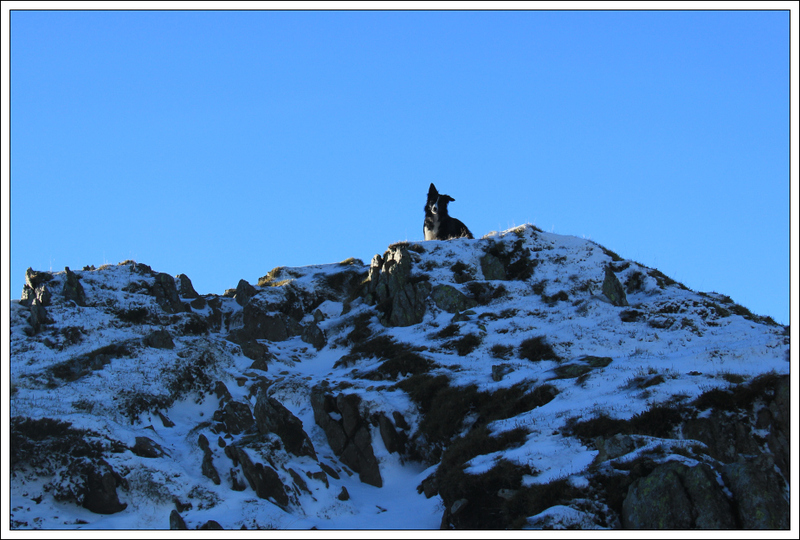 The ascent of Hart Crag was really easy. 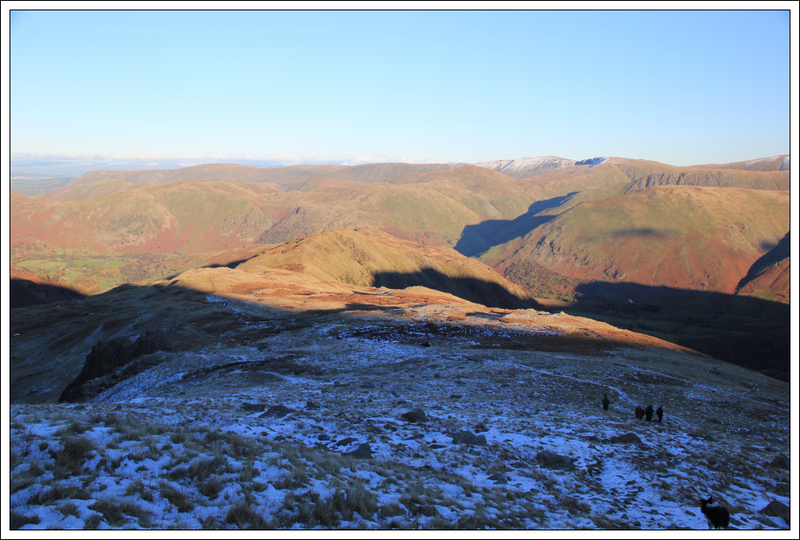 From Hart Crag we began the long descent via the ridge out to Hartsop Above How. 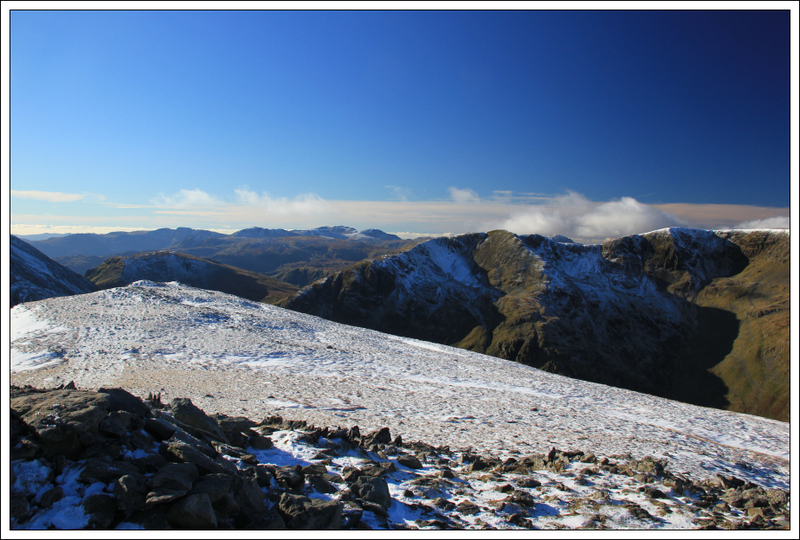 There is a short craggy section during the descent which you would need to be careful to avoid in the mist. 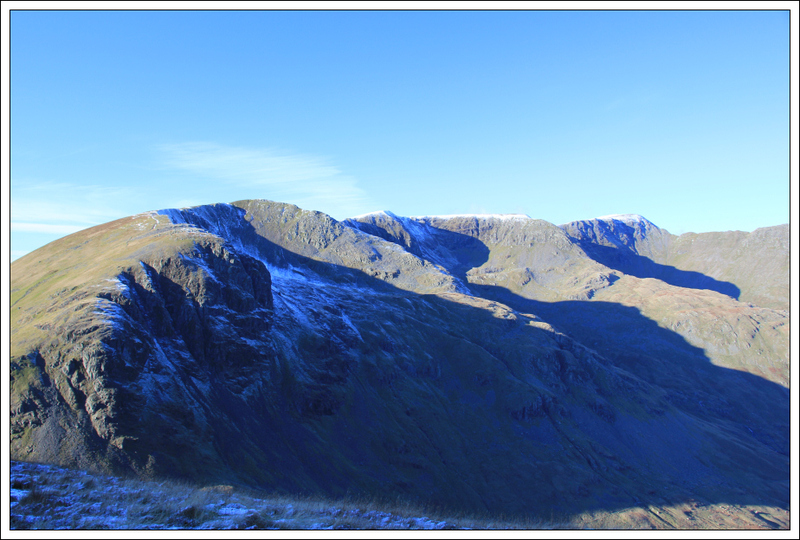 Once beyond this section the remainder of the ridge is an easy walk. 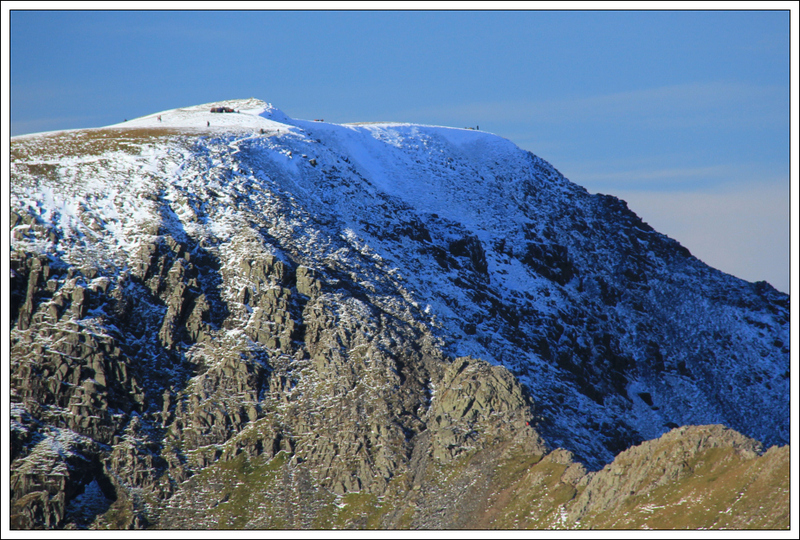 We visited the summit of Hartsop Above How during the traverse of the ridge – our fifth Wainwright of the day. 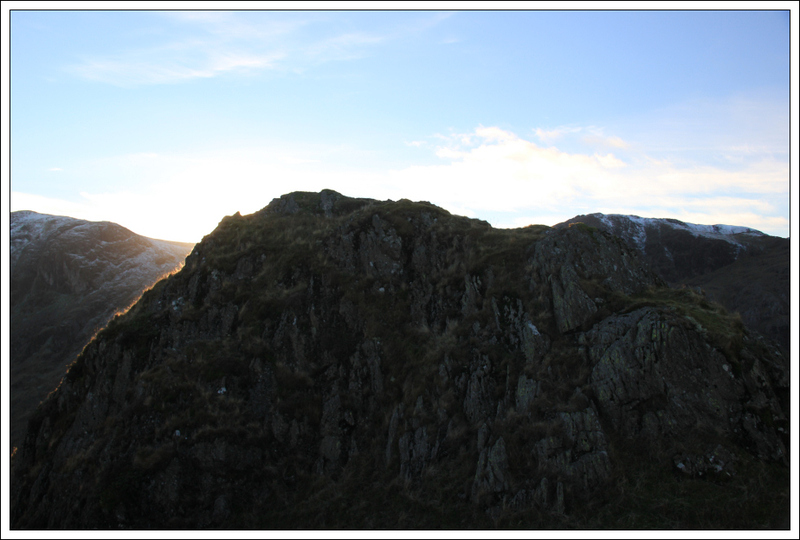 On reaching the end of the ridge, we crossed through a field to reach the road at Bridgend. 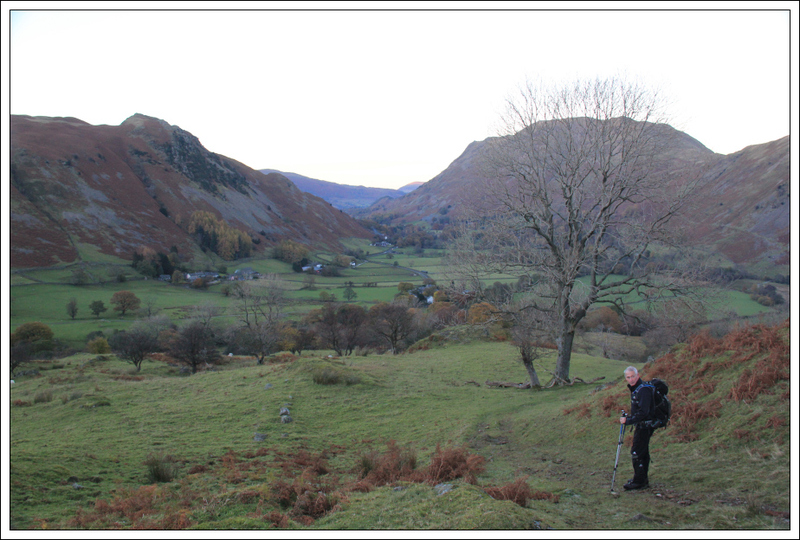 We then walked circa one mile back along the road to Patterdale. 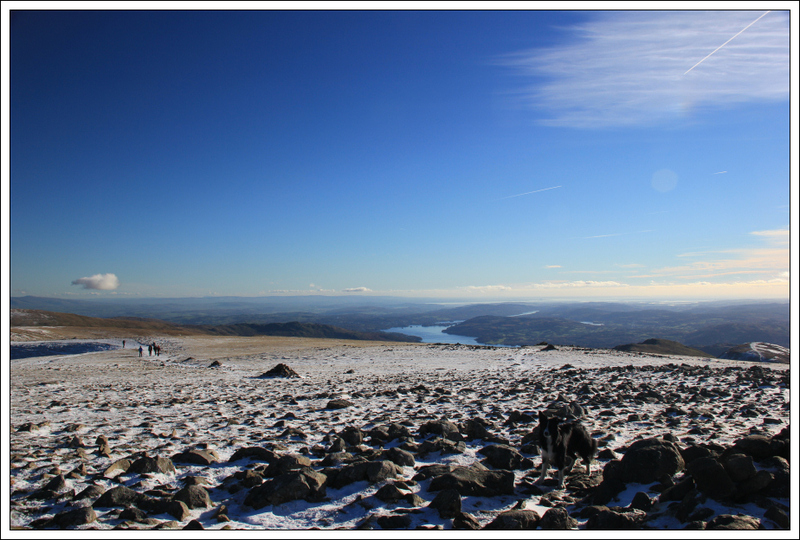 A perfect day on the hill followed with a perfect pint of Guinness in the White Lion.